We have already mentioned the significance of team productivity for an organization’s performance. Naturally, efficient teams that cooperate well with each other contribute to achieving company goals. 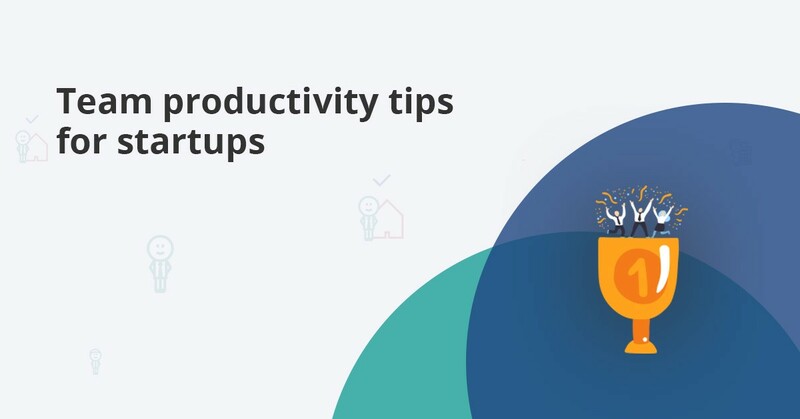 In this post, we’ll discuss how productivity and efficiency are often compromised when adding new team members – something that startup owners are very familiar with. We’ll also share 5 top tips to not only increase your team’s productivity but also build a strong bond among members. However, productivity in the workplace can be impeded by many factors. In the case of fast growing startup companies, the main factor is change. Change is a positive thing – it means your business plan is put into place! Your business is constantly evolving to what you envisaged since the beginning. Whether you like it or not, change is inevitable. It will happen, and you have to be well prepared if you want to gain value off of it. Change is also one of the reasons why team efficiency is compromised. Introducing new members to existing teams may create tension, even temporarily. Moreover, one of the challenges you’ll face as a leader is delegating tasks to the right people. This means creating positions that have clear duties and match each employee’s skills and experience. In successfully doing so, you make it easier for your employees to perform better. Hence, you increase team productivity! One more barrier to team efficiency is poor conflict management. New members are usually anxious to fit in, while old employees have to create space for them. Changing dynamics can impact the collaboration among team members and cause unnecessary friction. Which you are called to ease out so that everyone finds their pace and things get back on track. Grouping different types of personalities may often result in miscommunications. One way of tackling this issue is by organizing team building activities. The ultimate goal of those activities is to increase productivity in the workplace. You see, by increasing the camaraderie between employees you increase team productivity as well! You can use games to help your team communicate and work more efficiently with each other. Feel free to check out our blog post about team building activities for detailed instructions! Apart from team building, you can also organize team bonding activities. It could be anything from taking them out for dinner every once in a while to celebrating work anniversaries. Team bonding is a great way to show your employees you appreciate their efforts. And when employees feel appreciated, they become more productive! Bonding also plays a role in maintaining a positive work environment. Your employees are going to feel comfortable and relaxed, therefore unfolding their true potential. Using the latest technology is another way to improve performance at work. There are all kinds of applications out there to help you solve team productivity issues. Recurring tasks: One of the most important things you need to do to be more efficient at work is avoiding repetitive tasks. If, for example, your company offers subscription services, you should automate that process. 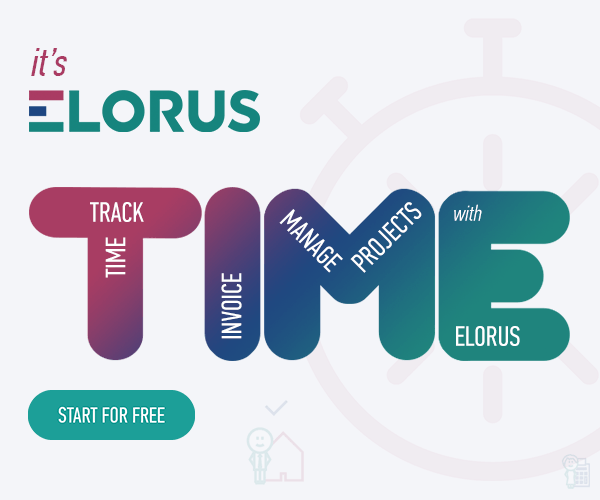 Your accounting team will more productive if an application, like Elorus, handles recurring invoices. In solving that, they have more time to focus on important tasks! Project management: When multiple teams work on the same project, it is vital that you facilitate their collaboration. Project management applications make your company more flexible to change because they allow you to create easy-to-follow procedures. Moreover, they provide live status updates, so everyone is on the same page. Be sure to read our article on project management software, and choose the one that suits you best! Group collaboration: Another way to improve team productivity is using collaboration apps. For instance, Slack is a popular option, no matter the team size. Your employees can communicate via a messenger that is split into “channels,” depending on the topic. They can also set up reminders or receive notifications there from external apps, such as Elorus! This allows them to have their communications in one tidy place. No one is left behind anymore! Training new members: Οnboarding new employees is probably the most difficult challenge companies face. It takes time, effort and boundless patience. Learning Management Systems (LMSs), such as TalentLMS, are ideal for successful corporate training. As new members come in, conflict is sometimes inevitable and team productivity might be at risk. Successfully mixing all kinds of different personalities and cultures is not an easy task. This doesn’t mean that nothing good can come out of it. As a leader, you want to focus on the positive and allow for concerns to be aired. Make sure to communicate those changes to your existing team and explain the reasons behind the decision. Give them the opportunity to express their concerns and practice conflict resolution methodologies! Let them know that hiring new employees presents a lot of opportunities as well. Explain how their skills will strengthen the team and help the company achieve goals. Being transparent and open to discussion will make them feel reassured. That reassurance goes a long way towards the smooth integration of new teammates. When you combine them with the team activities we mentioned, achieving growth will be a lot painless. Another factor that may negatively impact your team’s efficiency is not having a clear company culture. Laying it out for the new members is crucial to their effective collaboration with others. Reminding existing employees of that culture is also going to help new members to blend in well. Therefore, invest time and resources in instilling your company culture and values into new team members! This means inspiring them to follow your company’s mission and vision. Apart from that, you need to give them the opportunity to do so, practically. For example, if one of your core values is philanthropy, make sure you give them paid leave to volunteer. However, you have to be consistent, so everyone feels an equal member of the “pack” no matter its size. By now you should have realized that high team productivity is essential to the growth of your startup. The inevitable changes and additions to the composition of your team can sabotage your efforts, though. Fear not, because the 5 tips we’ve shared with you will help keep all your employees on good terms and your workflow streamlined so that you will never have to worry about your team’s productivity and efficiency again!